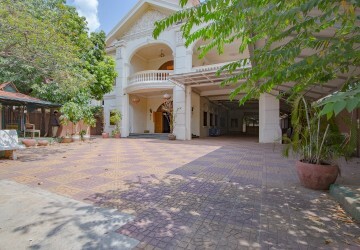 Browse through our extensive listings of villas and townhouses in Phnom Penh, Siem Reap, and throughout Cambodia. a suitable property handpicked for you. A modern townhouse, on the other hand, refers to a city residence. It usually consists of one or more levels, with spaces efficiently maximized. There are distinct characteristics that differentiate a villa from a townhouse. Both are essentially residential properties and is designed as a home. But you need to look at their attributes before deciding on which type of property to purchase. 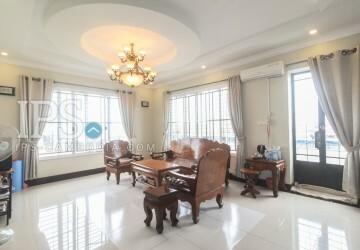 Villa is a structure with large spaces and plenty of areas to use for family gatherings and social occasions. In the olden times, a villa usually refers to country homes used for vacations. They are located in the middle of large lands and only seasonally occupied. The idea and use of a villa had changed in recent years. It had evolved from a large farming compound to a seasonal elite getaway and recently, into detached or semi-detached residences of various size and type. However, much of its function stays the same. The aesthetic qualities of the villa are also retained. In Roman times, a villa is a crucial part of complete working agrarian fields that features spacious baths and gardens. The main characteristic of a Roman villa is the wings of rooms opening onto a linking portico into an enclosed courtyard. 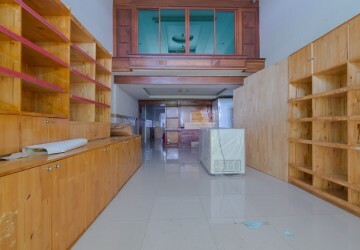 Sometimes it features aisled central halls to emphasize a villa owner's importance in society. Villa is often independent buildings linked by enclosed courtyards. Timber is used in the construction of the buildings. The structure is fitted with mortises and tenons and put together on stone footings. Timber is replaced by stone buildings in the ceremonial rooms. Large window glass and ironwork window grilles are also used. During the Post-Roman Times, the villa is often self-sufficient farmstead. It was economically likened to a village and its inhabitants are called villeins. In the 14th and 15th century, villa refers to a country home. It is treated as an aesthetic example of a building used as a home that boasts of an agricultural landscape. In Venice, they are used as guesthouses and offer itineraries and accommodation for tourists. In the 18th century, the villa was used for compact houses in the countryside especially those near the city. 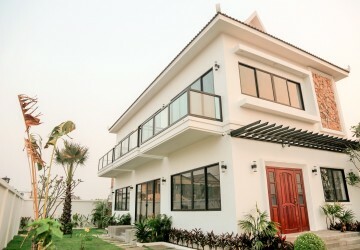 By the 19th century, the term villa is referred to any free-standing large suburban house in a landscaped plot of land. In the mid-19th century, residential houses for the wealthy were mostly large mansion houses built with a very aesthetic masterplan and were also called villa. The term 'semi-detached villa' was started by the 20th century. The minimalist mansion, detached villa and single-family detached structures of a villa reminiscent of this century are continued until today. Characteristics of a TownhouseA townhouse is a type of residential property with terraced housing, often with multiple floors. It is commonly a type of city housing for dwellers that have homes in the countryside. Historically, this type of housing is used by wealthy families who have multiple homes. They stay much of the year in their mansions in the countryside and then move to townhouses during the start of the social season. Townhouses are usually built with multiple floors and large living spaces. Its proximity to the city allows occupants to be within a few minutes of business and industrial areas. The distinction between a townhouse and an apartment is in the form of ownership. An apartment is usually rented while a townhouse is individually owned. Another characteristic is that a townhouse occupies multiple levels with its own door while an apartment occupies only a single level in a building with multiple units. What to pick for your next residence? A villa and a townhouse both offer a luxurious type of accommodation and their own unique charm. Historically, they are designed for elite residents as a status symbol of their wealth and power. In modern times, their difference lies more on the area with which they are built and the space of the grounds surrounding the structure. A villa offers more space to the occupants, often times have a garden and a huge lawn area, and is located away from the more urban areas. Its charm lies in the lush greenery, the over-sized living spaces and the quiet residential area where they are built. A townhouse, on the other hand, usually have lesser space. The land with which a townhouse is built is small, the spaces maximized. A townhouse still has elegant furnishings and speaks of class. But it is usually inside the urban areas and city centers. It allows the occupants ease of transportation to their place of business, and the convenience of living amidst the center of all the activity. 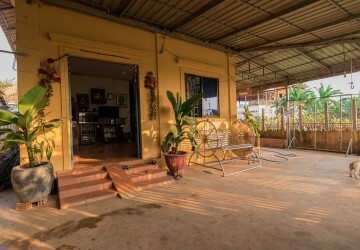 In Cambodia, both types of residential homes are available. Our listings have a wide range of options for villa and townhouse properties. 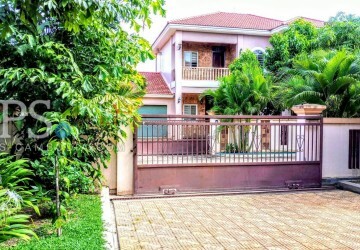 A townhouse may be found in the major cities like Sihanoukville, Siem Reap, and Phnom Penh. 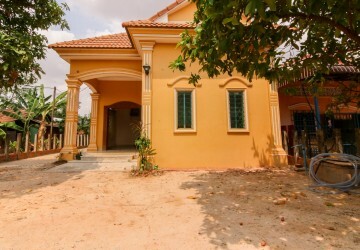 While villas are available in the surrounding areas.